Hornor & Harrison keeps a nice selection of men's and ladies' leather bags and accessories. So we thought we should post some proper instructions on keeping that leather bag in top shape so you will enjoy it during its life time. Fine leather deserves good care because even the best leather will dry and crack over time. If handled roughly or stored improperly, your leather goods may stain or prematurely deteriorate. 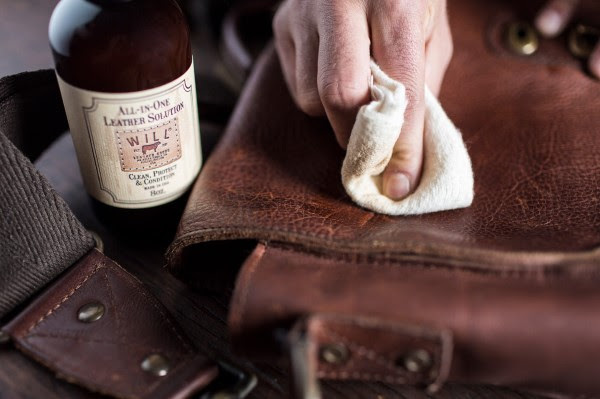 Quality leather cleaners and conditioners preserve the character and extend the natural life of leather. Most of our bags are designed with bridle leather – top quality leather that has gone through an extensive tanning and finishing process; only the best quality hides free of flaws are selected. The final product is very soft and flexible, yet strong in its ability to withstand daily use. Quality bridle leather only gets better with proper cleaning and conditioning. Use this method twice a year to polish all fine smooth leathers. Dampen a soft cotton cloth with warm water. Using a circular motion, carefully clean the leather. Allow to dry for at least 11 hours away from direct sunlight and heat. Before completely dry, rub saddle oil all over the leather. If needed, apply a second coat within 30 minutes. Condition leather once a year to repel water and keep leather soft. Apply mink oil, including the strap and all seams and stitching. Allow leather to dry for 12 hours away from sunlight and heat. Apply a second coat for additional weather protection. It’s common for leather to get scratches and spots over time from normal use. 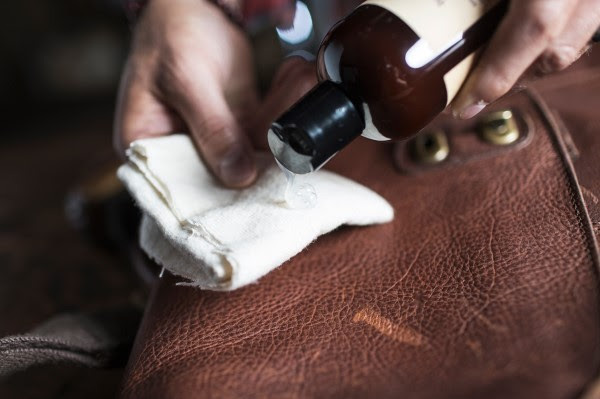 Though it is difficult to truly repair leather because it is an organic material, there are several methods of minimizing the appearance of the damage with a little care. Your leather goods will patina before your very eyes – a reflection of the journey you’ve taken. A patina naturally develops in response to your environment and makes your bag one of a kind. The transformation in its coloring is a characteristic of quality leather and signifies its inherent beauty. Leather is susceptible to absorbing grease and oils; handle with clean hands. Using the oils from your hands, bend and work the spot back and forth over the scratch and marks. Continue as needed working the leather. The scratch will continue to disappear over time. Remove spots as soon as they appear; don’t let it sit on the leather too long. Use a baby wipe and fold it in half. Do not use wipes that contain alcohol, dyes or fragrance. Place your hand on the opposite side of the stain and wipe away, cleaning the spot and surrounding area. Rub with moderate pressure to remove the stain; using too much force may discolor the leather. Most of the leather bags Hornor & Harrison sell carry a lifetime guarantee with normal use. Use the tips we have listed to enjoy your bag and keep it looking its best.